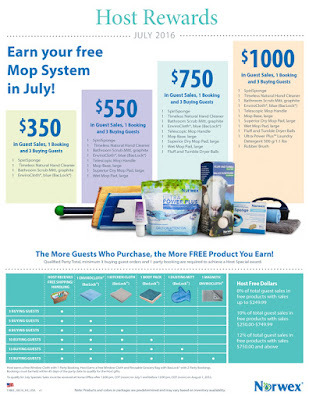 Orders must be received in the Home Office from noon, CDT, July 1 through noon, CDT, August 1, 2016. Note: Products and colors in packages are predetermined and may vary based on inventory availability. 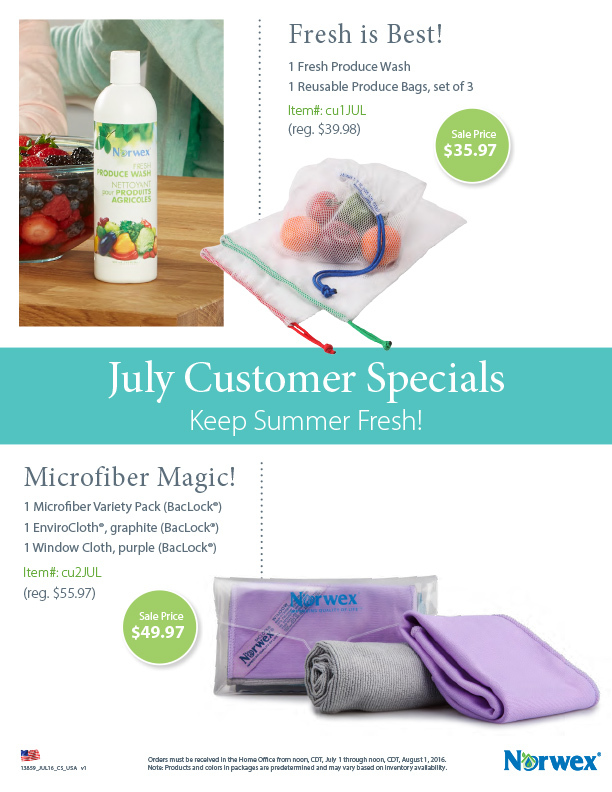 To qualify for July Specials: Sales must be received at Home Office after 12:00 pm, CDT (noon) on July 1 and before 12:00 pm, CDT (noon) on August 1, 2016. 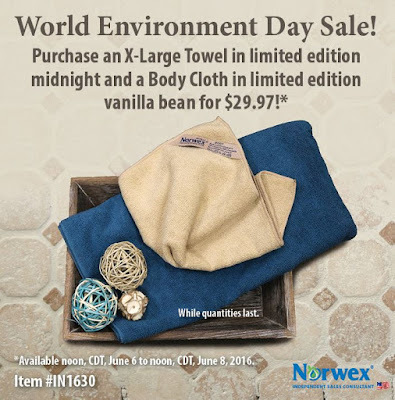 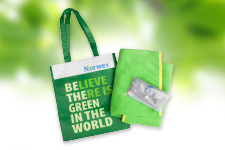 EDITED - The original sale (XL Towel + Body Cloth) sold out extremely quickly, but Norwex is generous enough to offer a secondary World Environment Day sale - also limited quantities, so order soon! 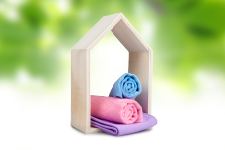 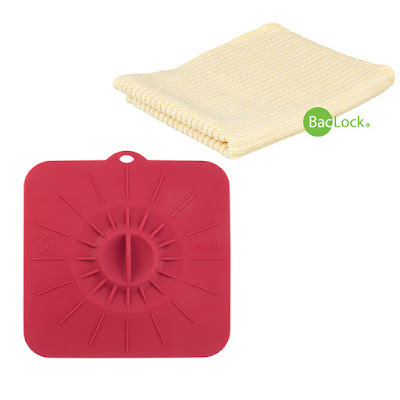 Celebrate the environment and create a safer haven with these velvety soft microfiber towels! 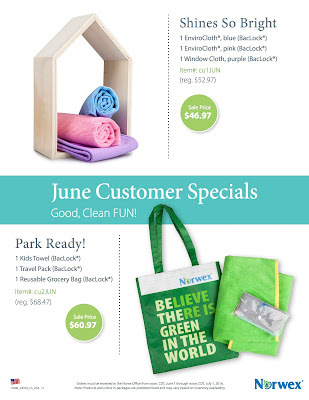 Quantities are limited, so hurry and get yours today! 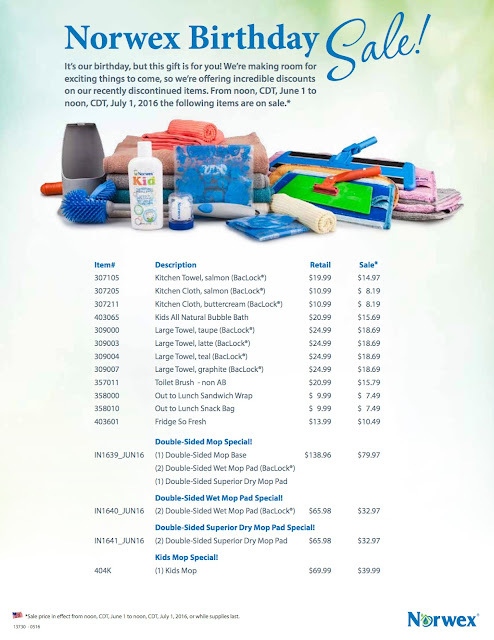 Orders must be received in the Home Office from noon, CDT, June 1 through noon, CDT, July 1, 2016. Note: Products and colors in packages are predetermined and may vary based on inventory availability. 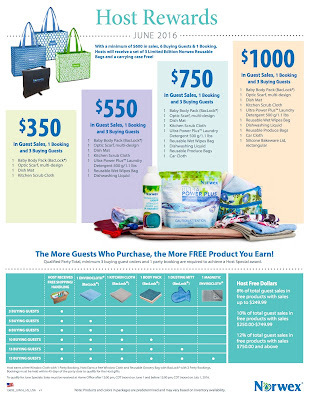 ***With a minimum of $600 in sales, 6 Buying Guests & 1 Booking, Hosts will receive a set of 3 Limited Edition Norwex Reusable Bags and a carrying case Free! To qualify for June Specials: Sales must be received at Home Office after 12:00 pm, CDT (noon) on June 1 and before 12:00 pm, CDT (noon) on July 1, 2016.